Former UCF star became the first NFL player with one hand and a role model for others. An amputated hand did not hinder Shaquem Griffin ’16’s potential — it strengthened it. Griffin was a star linebacker at the University of Central Florida and is now a member of the Seattle Seahawks alongside his identical twin brother, Shaquill ’16. Shaquem is the first one-handed player in NFL history. 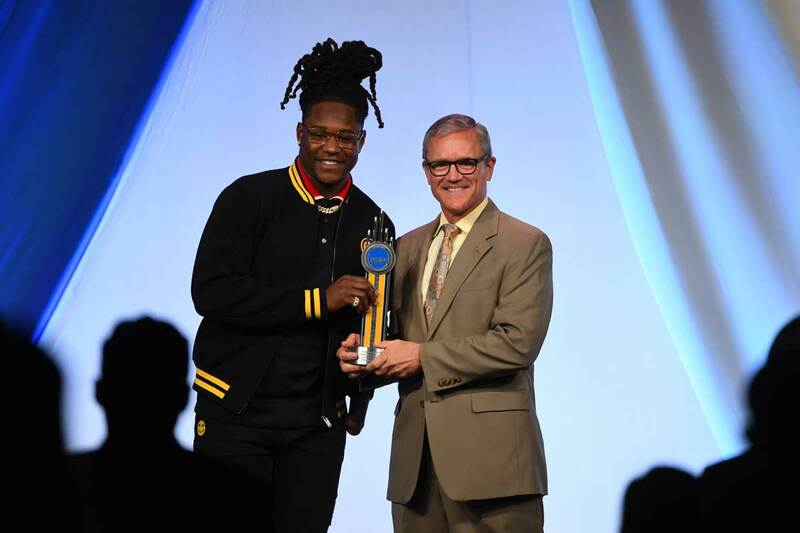 Shaquem Griffin accepted the 2019 Inspiration Award at the NCAA Honors Celebration on Wednesday, Jan. 23, in Orlando, Florida. The award is presented to a coach or administrator currently associated with intercollegiate athletics, or to a current or former varsity letter winner at an NCAA institution. It is reserved for people who used perseverance, dedication and determination to overcome a life-altering situation, and most importantly, are role models giving hope and inspiration to others.